Floods spread through Bangkok Jump to media player Floodwater is continuing to move through the Thai capital, after months of heavy monsoon rain. Rachel Harvey reports. 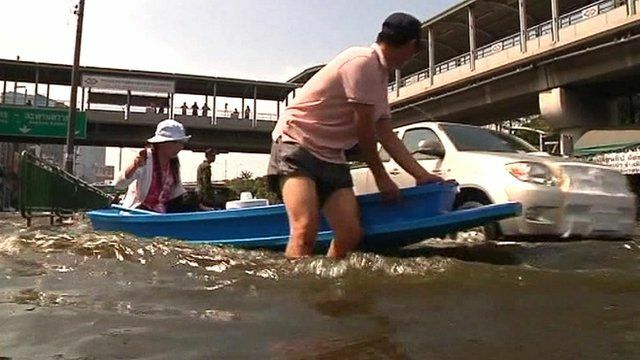 Fears at rising Thai river levels Jump to media player Thousands of residents are continuing to flee Bangkok, as the river running through the Thai capital swells to record highs. 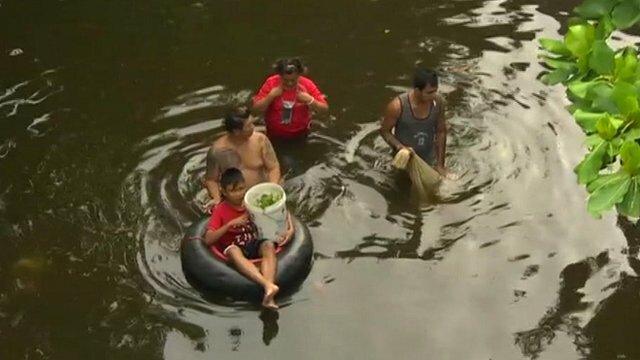 Thailand floods 'a national crisis' Jump to media player Flood defences held firm in Bangkok over the weekend despite high tides, raising hopes that parts of the city would be spared from flooding that has caused devastation across Thailand. Floodwater is continuing to move through the Thai capital, after months of heavy monsoon rain. 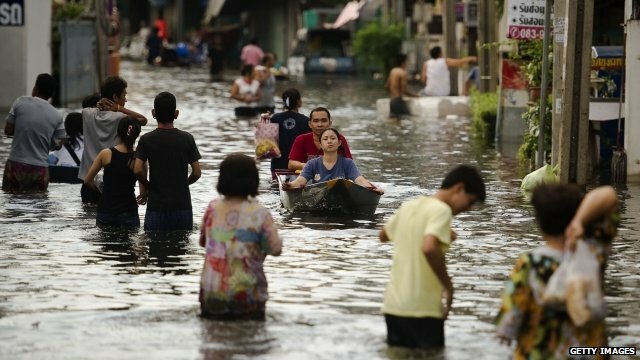 The weather has improved in recent days, but authorities are still struggling to manage the sheer volume of water that has accumulated to the north of Bangkok. The death toll from the crisis has now risen to more than 500. Rachel Harvey reports from Bangkok.